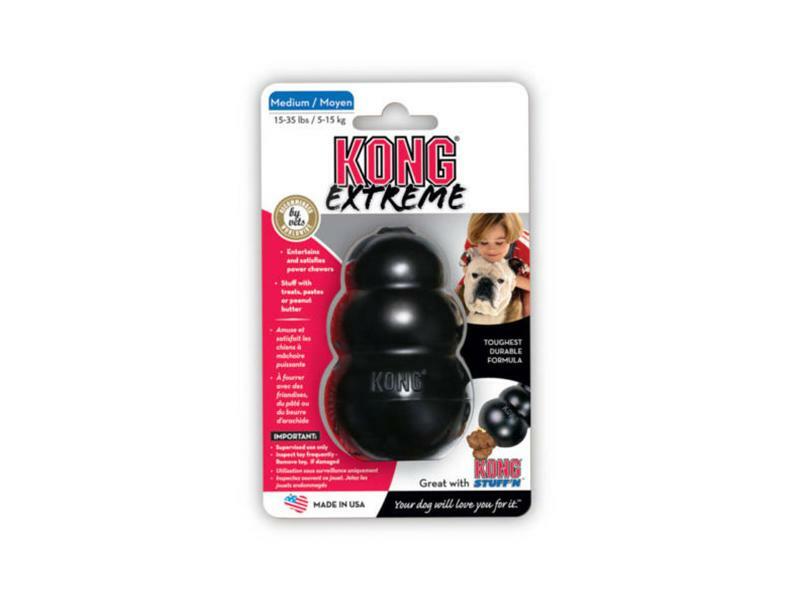 Extreme Black Kong Dog Chew Treat Toy is an innovative treat dispensing dog toy made from an ultra-strong non-toxic black rubber formula. 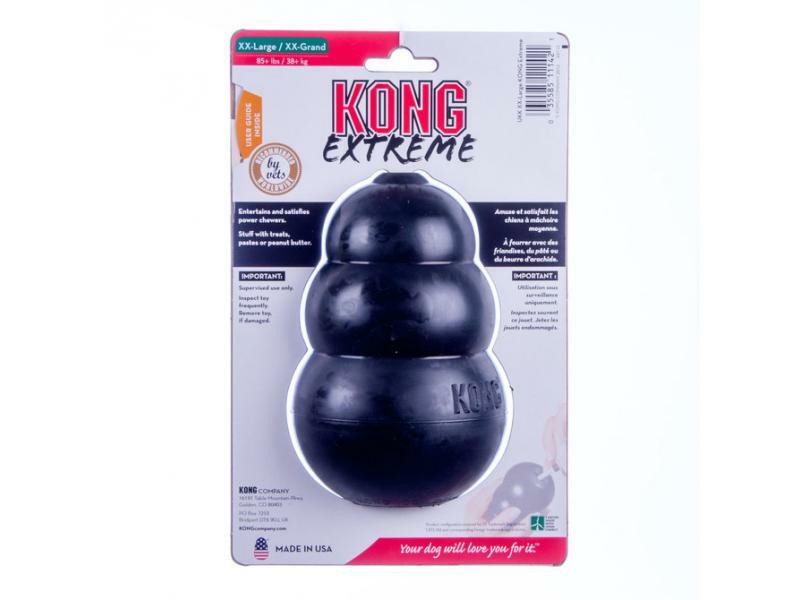 It is the most durable version of the original Kong toy and is uniquely designed for the most powerful chewers. 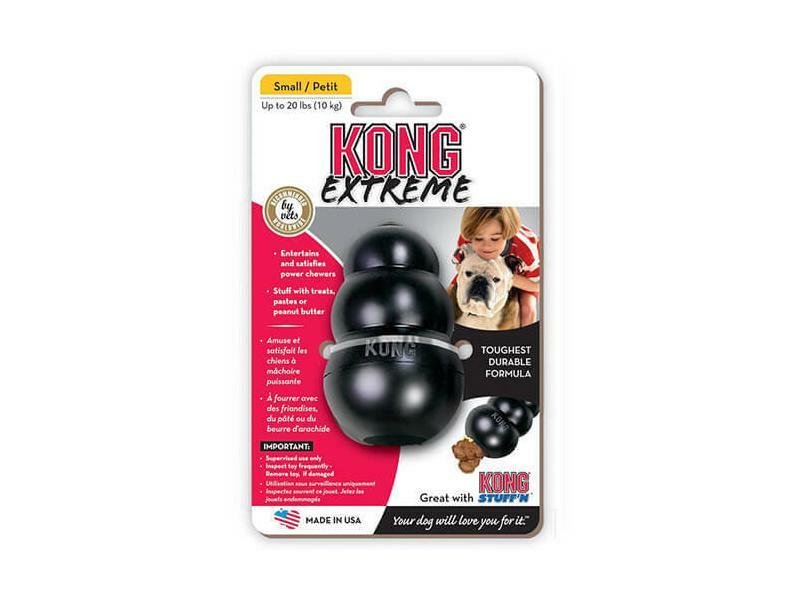 Please see below for a size guide. 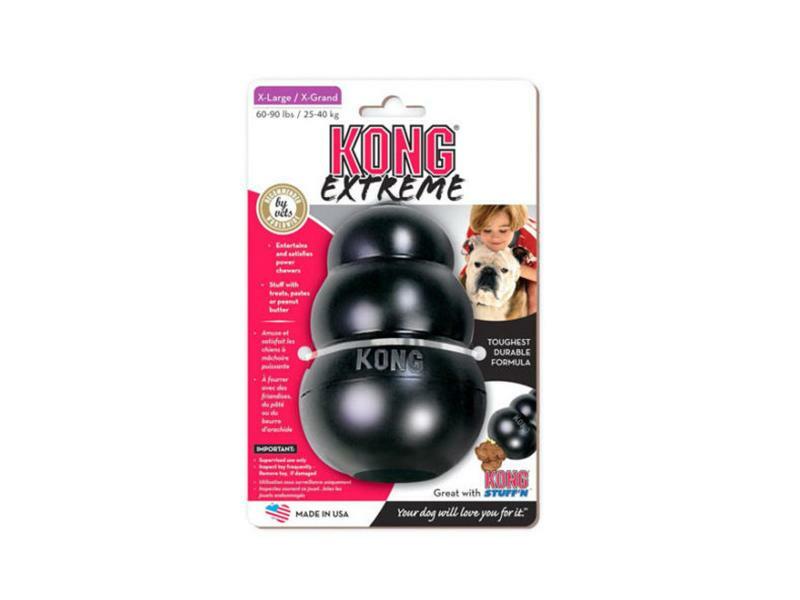 There are currently no questions for Kong Extreme Black Dog Toy - be the first to ask one!